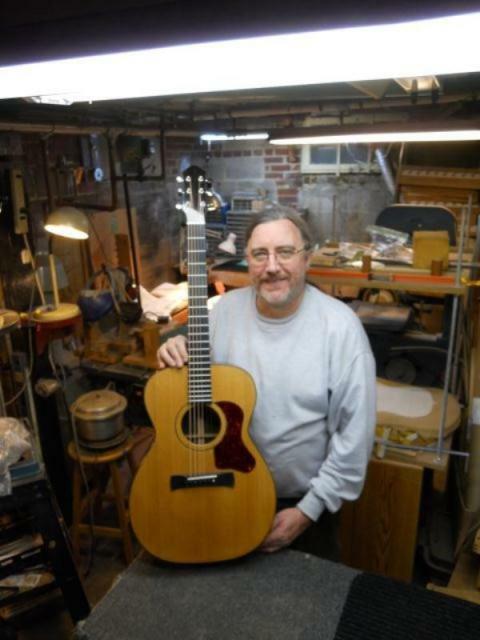 Steve Carmody has been repairing and restoring guitars full-time since 1990. Through the years Steve has maintained an independent shop in Silver Spring, Md. and has also done repairs and restorations through a number of music stores in the Washington, DC area. While he works on both acoustic and electric instruments, his primary focus for the last decade or so has been on acoustic guitars and he is a factory authorized repairman for the CF Martin Co. and Taylor Guitars. Because of his extensive experience, repair and restoration of vintage acoustic instruments is a specialty. Steve also builds a limited number of steel-string acoustic guitars.